The latest jewell from boat builders Codecasa, in Viareggio, Tuscany, has been revealed. 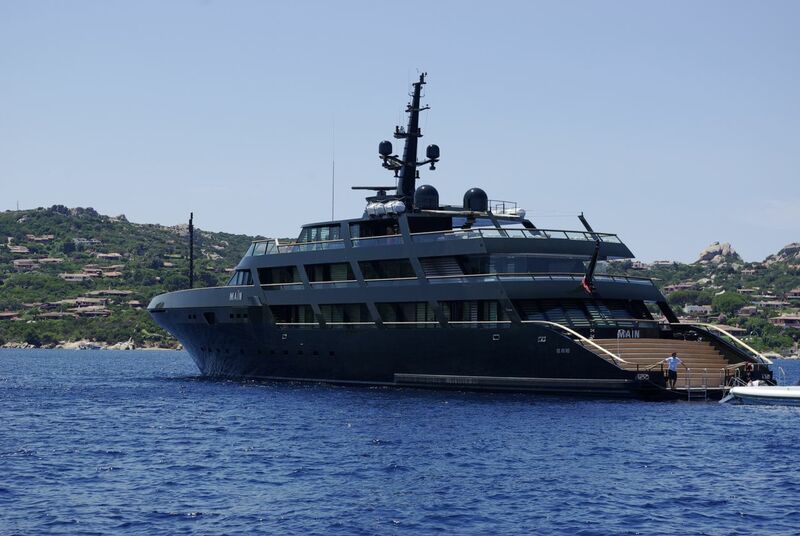 Called Main, it’s the latest yacht for Giorgio Armani – 65 metres long it’s a peculiar choice of military colours and will substitute the older “Mariù” at 51 metres, also made by Codecasa. The new yacht took three years to build, and the external design was created by Armani and the designers from the boat builders. The famous stylist also created the interior, personally following the works with collaboration from Studio Ortelli, and its trusted architects. Main is an Armani megayacht through and through, with a courageous style. Apparently for this floating villa, Armani wanted the militar green to stand out, ribelling against the classic white of luxury yachts. The interior has much natural light, filtered by Ventian blinds in birchwood. Furnishings are in a minimalist style with black, steel and teak colours and materials. Main holds six guest cabins, a recreational space and eight cabins for crew. It’s equipped with two Caterpillars at 2482 hp, both reaching a maximum speed of seven knots.